Steve Taylor revealed his pride after Lancing exited the FA Cup on Tuesday following a fine run. Lancers slipped to a 3-0 first round qualifying replay defeat at the hands of division-higher Bostik League South East outfit Phoenix Sports at Culver Road – missing the chance to progress to the furthest stage the club has been for 51 years. 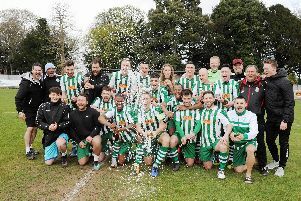 But having beaten league-above Haywards Heath Town and Greenwich Borough along the way, pocketing £5,140 in prize money for their efforts, Taylor had nothing but praise. He said: “I’d never won an FA Cup game as chairman before we beat Haywards Heath Town. It was probably the toughest draw we could have had, so to beat them gave everyone a great feeling.